Foam can be used for different applications so it’s one of the most versatile materials to work with for a do-it-yourself project. To cut the foam is a different story to cutting wood but also requires the right supplies for the task. Without the right tools, making those cuts and shapes can be messy, time-consuming, and a real hassle. For thin foam boards and simple cuts, you can cut manually and use basic materials. For larger cuts or cutting through five-inch-thick foam sections, you’d need some electric tools just like the pros cut foam. Check out the foam cutting tools below for slicing and shaping foams. If you are going to be cutting a lot of foam and don’t want to have to deal with a mess, then the best option for your use is a hot wire knife. This knife will either run on batteries or plug into the wall and it can quickly heat up to very high temperatures, allowing you to use the blade to slice easily through foam without any problems. Unlike a serrated knife that will actually cause a huge mess as it removes bits of the foam while cutting, this type of knife will heat up the foam and melt it apart so that you can easily maneuver the blade through the foam. Being able to heat up your knife quickly and without a lot of hassle is important, no matter what kind of foam you are going to be cutting, so it’s a good idea to take into consideration how quickly your knife will heat up and how well it will hold heat. 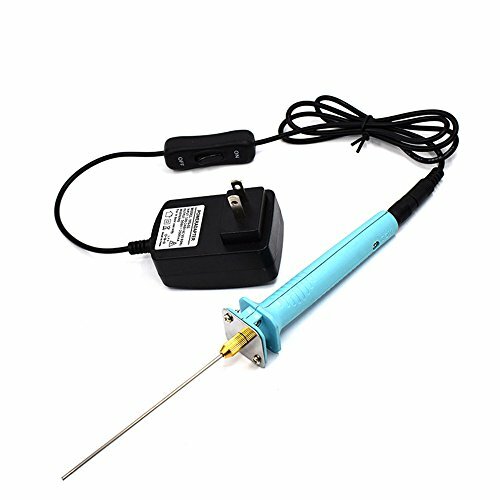 While some hot wire knives may heat up very quickly, you want to make sure that you choose one that is strong and reliable enough to hold a high temperature for the entire time that it is in use so that you don’t need to worry about it cooling down so much that it won’t cut through your foam. While you will have to have some form of energy to use a hot wire knife, for serious crafters who want to be able to cut through their foam quickly and ensure a clean edge that isn’t jagged, this is absolutely the best option on the market. There are a number of different features that you can choose from, so you can be sure that you have bought the right tool for the job. One main benefit that you will enjoy when you opt for a hot wire knife is that you can easily pack up this tool and take it with you, making it simple to craft on the go or in another location without worrying about how you will bring all of your tools and materials. While not a great option if you are going to be performing very intricate work on your foam, if you want to be able to make fast cuts quickly and easily, then it’s a good idea to opt for a table saw with a specialized blade that can handle the foam you need cut down to size. Unlike traditional saw blades that will act similar to a serrated knife and produce a lot of waste and dust when used to cut foam, this type of blade will cleanly slice through the foam and reduce the amount of dust that is created. Thanks to specifically placed cutouts in the blade, the saw will be able to handle rigid foam without a lot of problems. Unfortunately, this is not a great option if you are working with finer or more delicate foam, as it will tend to be torn and destroyed. Look for blades that have a ceramic coating on them, as this coating will actually help to reduce the friction between the blade and the foam. In turn, this will reduce the amount of effort and force that is needed to push the blade through the foam to make the necessary cuts. Heat is necessary to cut smoothly through the foam, and when you use blades designed to concentrate the heat of the saw and blade along the cutting edge, you can rest easy knowing that the blade will quickly and easily move through the foam without a lot of problems. One problem that you will run into if you opt for this choice of a foam cutting tool, is that you can’t easily take it with you. If you like to craft on the go and want to be able to bring your foam cutting tools with you, then you will become frustrated at the size of your saw and blades, as they are simply too large to easily travel with. If you need to be able to take your tools with you on the road or to another location to craft, then you will want to look for a smaller alternative that will make this possible. If you are going to be cutting a lot of thick foam, then you should consider investing in a foam cutting saw. Unfortunately, this is going to be one of the most expensive options available, but it is one that the pros use, making it obvious that it is, hands down, the best option available on the market for quick and reliable cuts. This type of saw has a very long and thin serrated blade that moves incredibly quick to saw through your foam without much resistance, allowing you to make cuts in a fraction of the time. They come with a flat base that has very small wheels designed to move along the surface of the foam that you are cutting and thereby reduce friction. This will speed up the process. Because these saws have such a very large base, there isn’t any concern of your blade moving to the side. 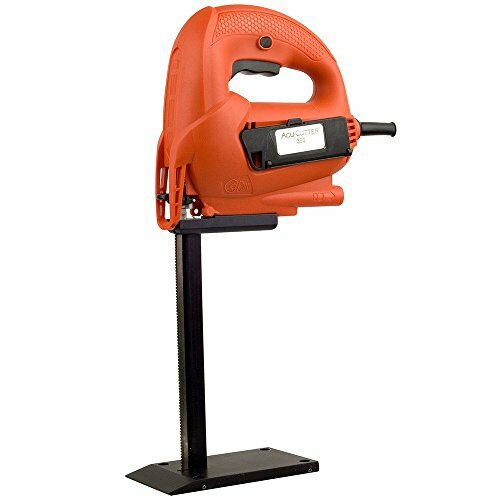 You will be able to achieve a consistent up and down motion while the saw is in use, which ensures that your foam has straight edges and that you don’t have to worry about the quality or the consistency of your cuts. While there are some DIY tutorials available to help talk people through how to make this type of saw on their own, if you want to make sure that you will achieve high-quality cuts, then you need to invest in the real thing. While you can’t use a Dremel tool to easily cut larger pieces of foam down to size, this tool is indispensable when you need to make intricate designs in your foam and you want to have a lot of control over the final product. It can be very difficult to use this tool without accidentally shredding the edge of the foam that you are working on, which is why it only has a few applications and it is not the best tool for the job. Nevertheless, in a pinch, your Dremel will be able to cut down your foam quickly and easily, although your edges won’t be very neat and you will likely have a large mess to deal with. When using your Dremel, you will be relying on friction and rubbing the edge of the foam to cut and remove it, not heat, which will easily cut through the foam without creating a lot of damage. When you understand this distinction, you can be prepared by only operating this tool in an area where you will be able to easily clean up your mess. It’s also important to note that using a Dremel to cut your foam will be a lot slower and more time consuming than if you were to use a hot wire knife, which has been specifically designed for this purpose. While a hot wire knife is generally the only tool that you will need to cut through the foam, when you want to be able to rest the piece of foam that you are working with on the table and still have complete control over it, you will benefit from buying a scroll table. Not only will you be able to have control over your piece of foam while you are cutting it, but you won’t have to worry about whether or not your hands will shift, causing you to make a mistake. It’s important to consider whether or not you need a table with clearly marked measurements or if you are going to be happy with a plain scroll table. While they will both greatly improve your ability to cut foam and to control the location and size of the cuts that you make, a table with measurements makes it much easier to cut pieces to a specific size without having to worry about whether or not you have made a mistake measuring. One low-cost option for cutting through the foam is a utility knife. This is a great option for a lot of people, especially if you do not cut foam regularly enough that you need to invest in a higher quality tool. Since a utility knife has so many uses, you can easily use one that you already have around your home for this job or buy a new one and then use it in the future on other projects. Because cutting through foam can quickly dull the sharp blades of your knife, it is a good idea to choose one that has blades that can quickly and easily be changed. Another option is to opt for a utility knife with blades that will pop off when they are dull, revealing a sharp blade underneath that is ready for use. This will prevent you from having to return to the store on a regular basis to get new knives as you dull their blades. One thing to consider when you are looking for a hot wire knife cutter is whether to opt for one that has a table and clearly marked measurements. 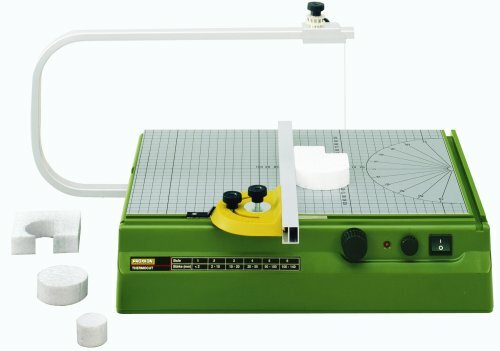 When you choose a hot wire cutter that has a table not only will you have a solid surface on which you can rest your foam while you are cutting it, but you will easily be able to measure it and cut certain angles, thanks to the measurements that are clearly shown on the table itself. This makes it very easy to cut the foam that you are working on to a specific size or make sure that you have cut the correct angles. While not all projects will need an included table, if you want to have the most control over the foam that you are cutting and want to make sure that you can easily move it and control it when it is in contact with the hot wire, then this is a feature that you will want to look for. You won’t have as much freedom to use this tool on the go, due to its size, and it will require more storage space, but it really is a wonderful option for anyone who wants to take their control and precision to the next level and is ready to rely on a quality tool to do so. When choosing a hot wire knife, there are two types that you can buy: ones that are battery operated and ones that are corded. Both have their own set of pros and cons, making it difficult for some people to choose what kind is the right one for them. If you are worried about whether or not you will be able to take your hot wire knife with you and want to make sure that you don’t have to rely on finding an outlet to use it, then you will want to choose a hot wire knife that runs on batteries. These generally don’t vary much in size from corded options, but because they are so portable, you don’t have to worry about having access to power to use them. 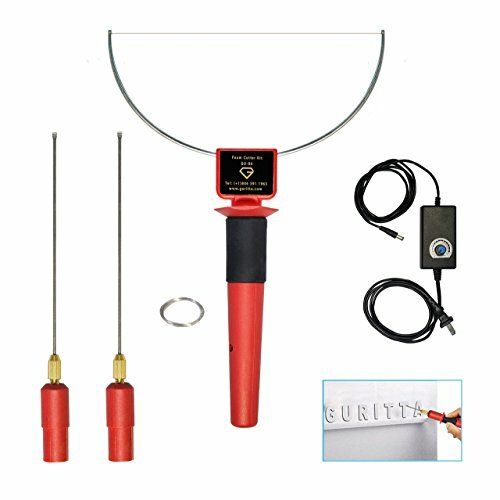 One problem that you will likely run into when using a battery operated hot wire knife is that when your batteries start to die, you will not have the same amount of power to cut through foam as you were used to. This can be very frustrating, especially when you are in the middle of a project, and is a good reason to always have extra batteries on hand. If you don’t want to deal with this issue, then you may want to consider buying a hot wire knife that is corded and will plug directly into an outlet. While you won’t have as much freedom about where you take and use your hot wire knife, you won’t have to worry about whether or not you will have the power that you need to complete your craft. Additionally, extra batteries can tend to be expensive, especially if you tend to use your hot wire knife on a regular basis, so that is something that you will want to take into consideration when choosing a tool. If you want to make sure that your tools are as reliable as possible, then it is a good idea to opt for ones that are corded. While this does mean that you will have to have access to an electric outlet when you want to use your tool, it also means that you won’t have to worry about it dying on you while you are using it. 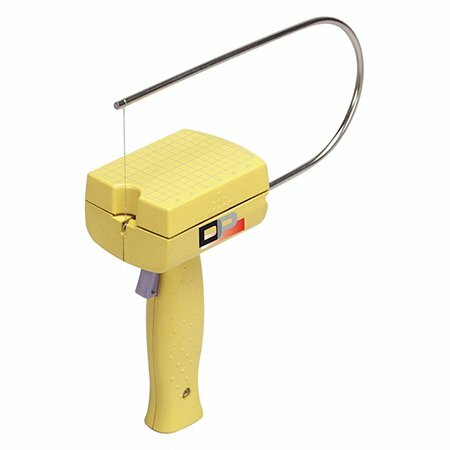 Consider looking for a tool that has a very long cord so that you can stretch the tool farther from the wall, which is going to be useful when you are cutting very large pieces of foam. While corded tools may be a little more expensive to purchase, they do not require you to change the batteries, which means that you won’t have to worry about this added expense over the life of your tool. One thing to consider when shopping for a foam cutting tool is what kind of tips the tool has, as they can make it easier to cut different designs or shapes into your foam. If you are going to be cutting the foam down to a smaller size and aren’t worried about making more intricate designs, then you can usually get away with only buying a tool that has a straight edge. While a straight edge may be all that you need for the current job or project that you are working on, if you want your tool to be as versatile as possible, then look for one that comes with additional tips for cutting more intricate shapes. These tips will not only make it easier to cut various shapes and designs into your foam but also can be switched out as some may work better on a certain type of foam than another does. This allows you to customize your work and get the most use out of your new tool. 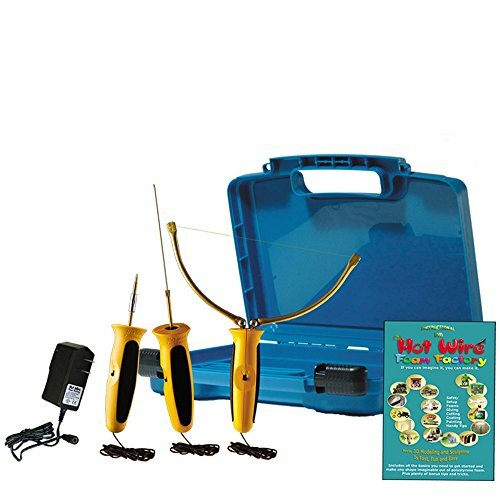 If you are just getting started cutting foam and want to make sure that you not only have the control that you crave to make intricate and unique cuts and designs but also that you don’t have to worry about stopping your crafting to go and buy new tips or parts, then you will benefit from buying a kit. These will generally come with a number of different blades or tips, as well as information on how to best use your tool. As a beginner, it is important to take steps to ensure that you will be safe when using your new tool and that you have the best chance at success, which is why buying a kit is a good idea. Look for one that includes not only a number of tips or blades but also information on how to use the tool and which tips are best for certain types of foam. These are generally perfect for not only drafting and model building but also creating crafts or architectural designs and they can be a great way to save some money and still get all of the parts that you need to be able to cut foam easily and professionally. 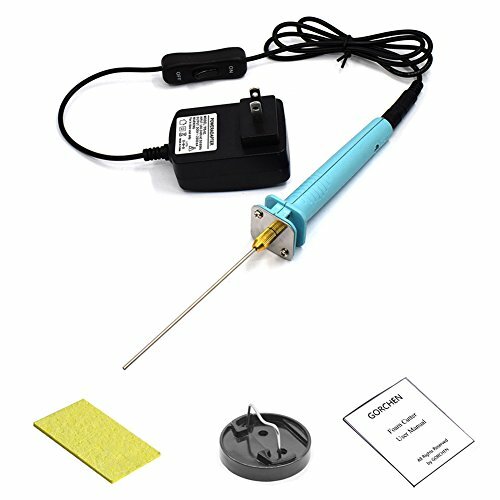 If you opt for a hot wire knife as your tool of choice to cut foam, then you will want to make sure that you choose one that has a very fast heating time so that you aren’t wasting your time waiting for your tool to get hot enough to cut through the foam. This can vary widely from tool to tool and manufacturer to manufacturer, which is why it is a good idea to compare the heating time of any hot wire knife that you are considering buying. Also, take into consideration the final temperature that your hot wire knife can achieve so that you can be sure that it will be hot enough to handle the type of foam that you need to cut. Different types of foam and their varying densities can be difficult for some hot wire knives to cut through if the knife does not get hot enough. The best way to ensure that your knife will work for your purpose is to research the temperature and the heating time before buying it. Setting down a hot wire knife on the table can not only damage the surface of your table but also burn you if you are not careful when you reach to pick it back up. Rather than putting yourself at risk each time you set down your tool and then pick it back up when you choose one that includes a metal stand holder, you will have a safe place to rest your tool while you consider your next cut. While you may be tempted to use a scrap piece of foam or wood to rest your tool, this is not a good idea as the high temperatures can cut through the foam or burn the wood when you are not looking. To ensure that your table is protected and that you will not accidentally grab the hot blade when picking up your tool, you will want to use a metal stand. It can be tricky to fashion one by yourself, which is why it is a much better idea to simply buy a tool that comes with an included stand for your use.